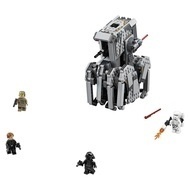 - Includes 4 minifigures: General Hux, a First Order Gunner, Resistance Trooper and a First Order Flametrooper. - Features a 2-minifigure cockpit with opening top hatch, elevating spring-loaded shooters at the side, missile storage clips, elevating front-mounted guns, hidden wheels and ‘crawling' legs. - Push the walker and see the legs move. 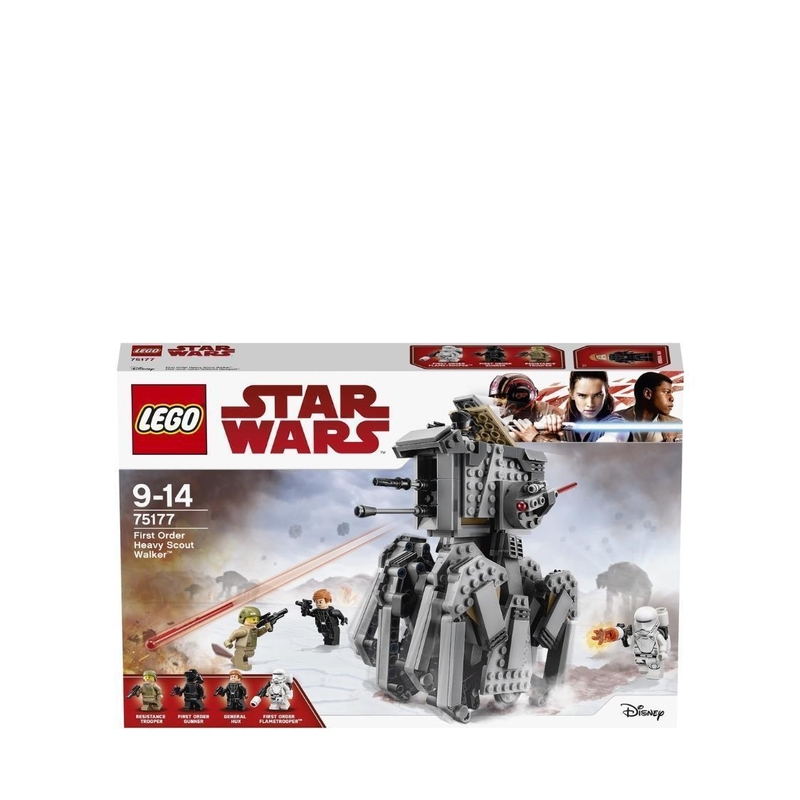 - Weapons include 2 blaster pistols, a blaster and the Flametrooper's flamethrower. - Measures over 7” (20cm) high, 6” (17cm) long and 3” (9cm) wide.